These companies serve the cities of Gladstone, Molalla, Oregon City, and some unincorporated areas of Clackamas County. B&B Leasing started many years ago. 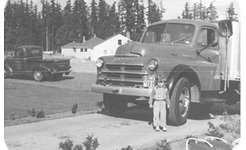 In 1935, John Bloom founded the first company-Oregon City Garbage-with nothing more than a pick up truck. His son, Richard Bloom, took over the business in 1959, and over the years, he added the Molalla and Gladstone franchises. His daughter, Pamela, continues the family tradition. Pamela has served as COO since 1998. 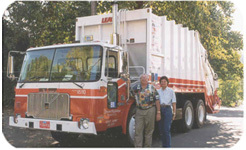 Today, Pam operates a family-owned, family-oriented solid waste collection company. 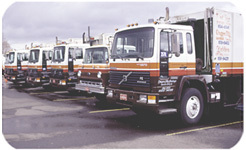 In the 40-plus years under their leadership, the company has grown from a single truck to a fleet of over 40 specialized collection trucks, servicing over 22,000 families and business within the greater Clackamas County.